Austin is a foodie town that’s not afraid to try cuisine from off the beaten path. In a city that’s so vibrant with diversity it’s not surprising that lesser known culinary practices are starting to gain traction, including African fare. A few African inspired restaurants have been in business for years, but lately the selection has expanded. Today, we’re going to take you on a ride-and-dine around a continent that has a rich food history. There are hundreds of cultures in Africa’s six regions, each with their own culinary style and go-to ingredients. This makes for diversified, exotic food that is similar yet distinct at the same time. Regardless, you can expect a fair amount of meat grilling (which suits us Texans just fine), fresh fruits and vegetables as well as stews. 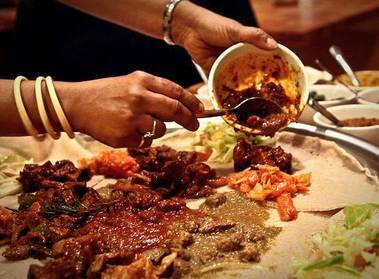 Aster’s Ethiopian Restaurant – Aster’s has been around since 1991 making it one of the earlier African eateries in Austin. It’s not just the food, but the array of beverages that sets Aster’s apart. Serving beer and wine as well as Ethiopian coffee you can get your liquid fix while dining on tasty African cuisine. 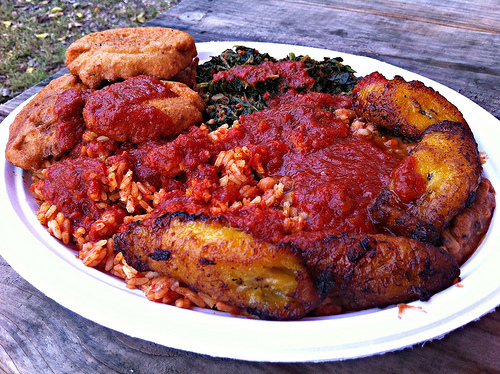 Cazamance Café – This food trailer blends together West African, French and American fare for one of the most unique menu lineups in the capital city. Head chef and co-owner Iba Thiam puts emphasis on making the traditional dishes healthier, always using the freshest ingredients, many of which are sourced locally. Location: 1102 E Ceasar Chavez St.
Karibu Ethiopian Restaurant & Bar – Karibu has made their new home on the eastside, and they’re now serving up drinks and entertainment along with Ethiopian food. If you’re looking for more of a fine dining experience at an affordable price this is the place to come. Location: 1209 E 7th St. 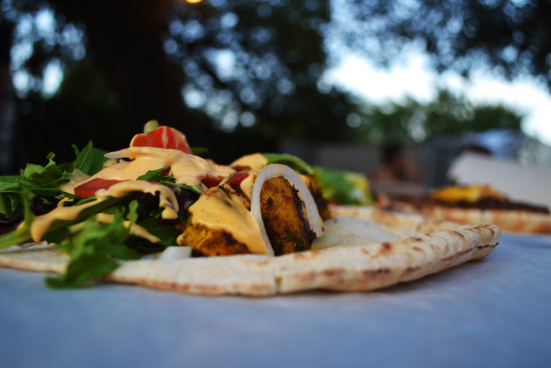 The Flying Carpet – This food trailer features Moroccan food that focuses on all natural ingredients. Owners Abderrahim and Maria Souktouri were inspired to open the food trailer after traveling through Morocco and getting the full street food experience. Patrons can choose from the regular or special order menu on Saturday nights. Phoenicia Bakery and Deli – While this is more of a Middle Eastern/Mediterranean eatery, foods from North Africa find their way on the menu. 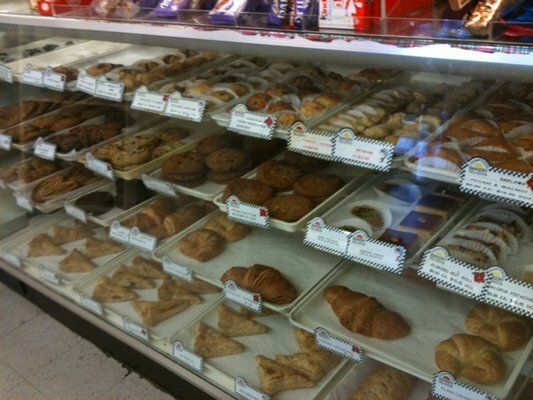 Phoenicia Bakery and Deli has a lot to offer foodies – sandwiches, pastries, home made breads and groceries. Location 1: 2912 S Lamar Blvd. Location 2: 4701A Burnet Rd. 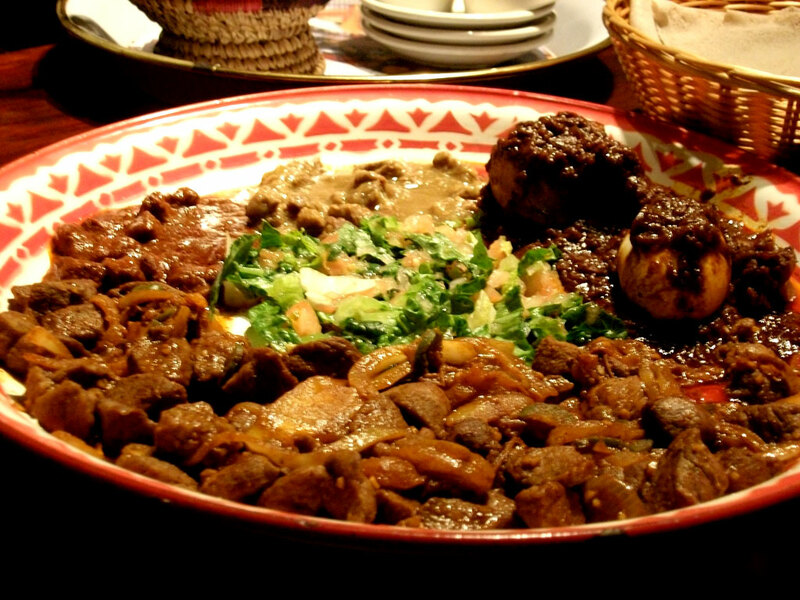 Taste of Ethiopia – Technically, this one isn’t in Austin – it’s in Pflugerville. But it’s close enough and the food is great enough that it deserves a mention. Beyond amazing food, owners Woinee Mariam and Solomon Hailu want diners to have a real Ethiopian experience complete with shared family-style platters and injera bread to scoop food with in lieu of utensils. 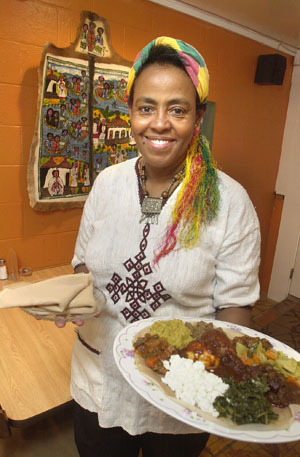 Wasota African Cuisine – When World Beat Café, one of the best-known local African restaurants, closed its doors in 2006 Austinites were left wondering what happened. Owner and chef Lawrence Osas Eguakun didn’t let on that he was battling cancer and had to close up shop in order to focus on recovery. Against the odds Eguakan beat back the cancer and got back behind the grill at his new food trailer Wasota. Featuring Nigerian and West African foods, Wasota’s menu includes items that were once staples at the World Beat Café like the Yam Fu Fu. Whether you’re a meat eater, vegetarian or vegan Eguakan can whip something delicious up for you at Wasota. Location: 1209 S First St.